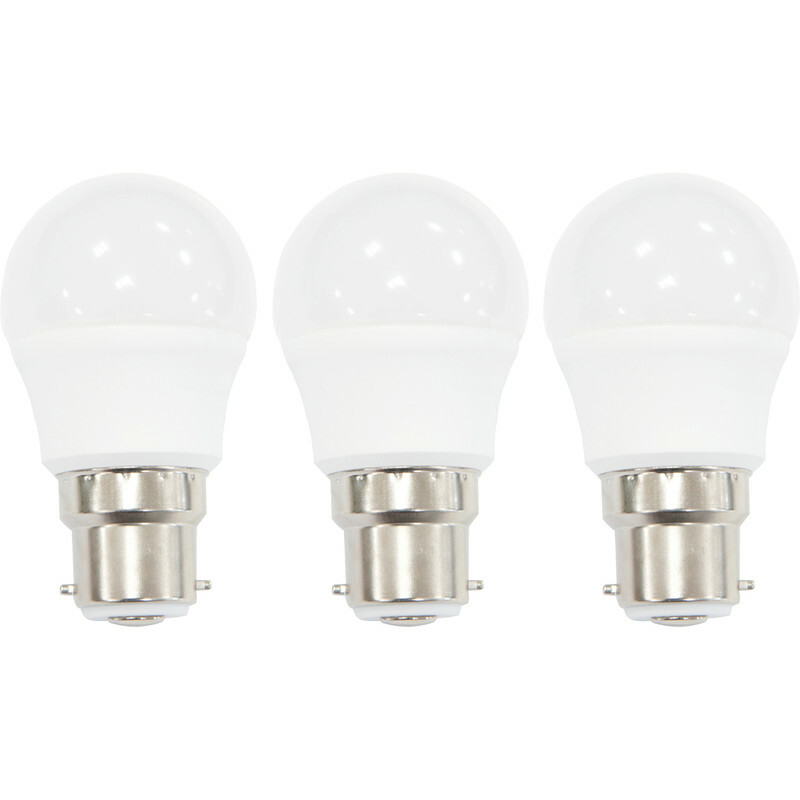 LED Frosted Globe Lamp 5.5W BC 470lm (3 Pack) is rated 5.0 out of 5 by 2. Rated 5 out of 5 by wenjj1970 from Great product Great price and product. Bought with other bulbs. They were a little smaller that I required but they do the job perfectly. Rated 5 out of 5 by wenjj1970 from Great product and a great price Just bought 2 new light fittings and needed some golf ball bulbs. Found them at toolstation at a great price with super fast delivery. They fit perfectly and do the job. Great product.